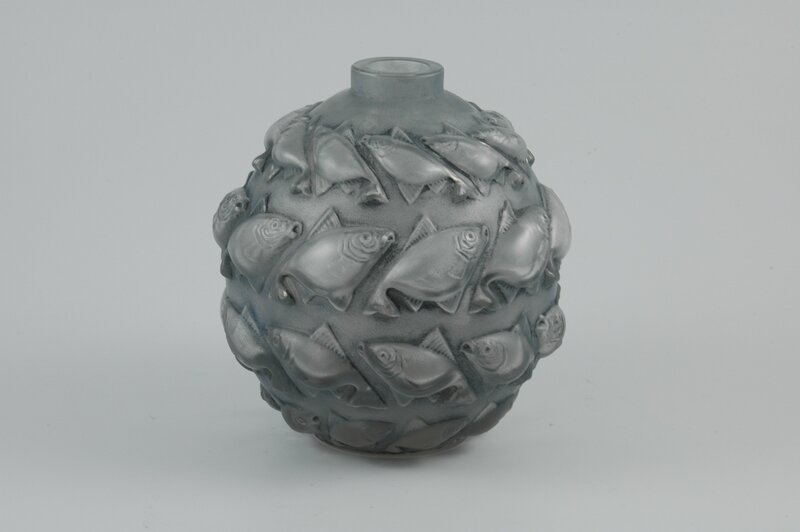 Rene Lalique ‘CAMARET No. 1010’. 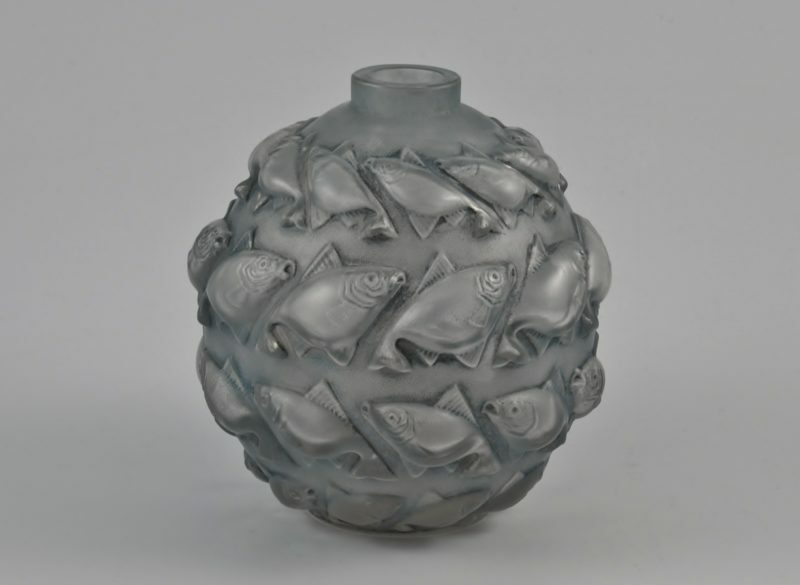 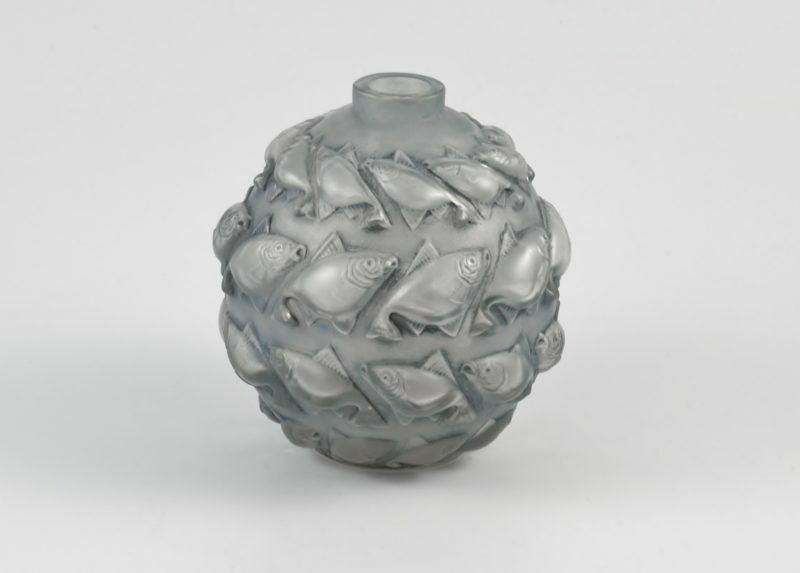 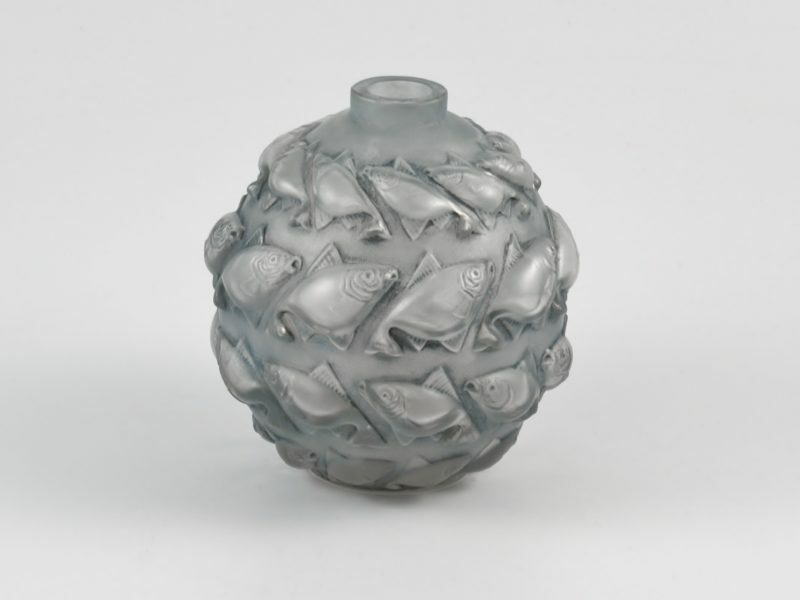 A clear frosted and grey stained vase signed- “R Lalique” circa 1928. 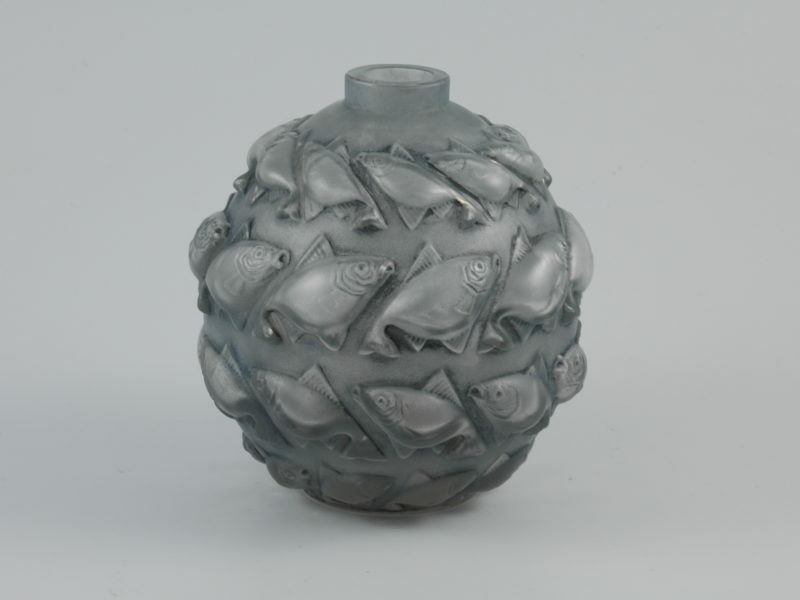 Dimensions: 14 cm high by 6cm (base ring diameter).